I lived for a couple of years in Kathmandu, Nepal. 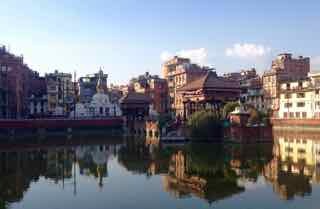 Or to be more exact Patan, which is across the Bagmati river from Kathmandu itself and used to be considered a separate city. Patan is the place that the artists and artisans ply their trade and have their workshops. Families have been doing this kind of work for centuries in the Kathmandu Valley. 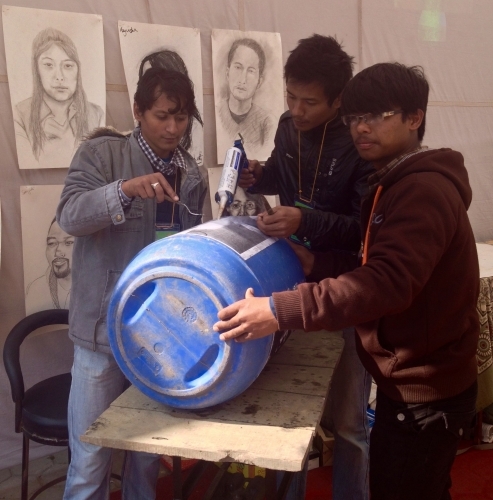 Most of the artists are Newari, with their own distinct culture and language. It’s the only place I have ever been where I felt that being an artist was a normal and respectable thing to do! Whilst there I met a local Newari sculptor called Tejesh Man Shakya and through him I met many more local artists, artisans and art teachers. He is a quietly spoken, thoughtful yet determined individual whose aim in life (as I understood it) is to spread knowledge and understanding of Art. Through discussions with Tejesh and the other artists I met, we decided to start an organisation to promote Art. We called it Kala Nest (Kala meaning Art in Nepali and Nest as it is a place to incubate new life). I left Patan 4 years ago and it is still going strong. Which is a testament to Tejesh’s determination and the support from the other artists. There is a Face Book page for Kala Nest, if you want to take a look. 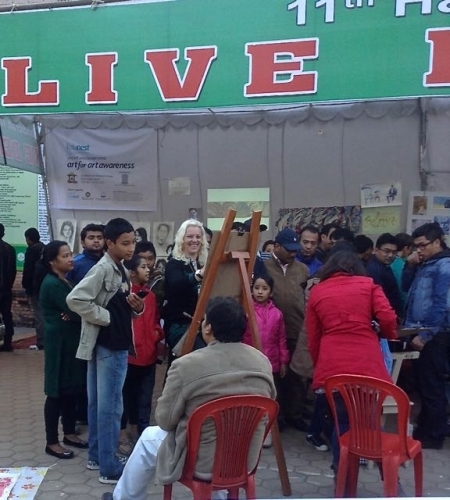 The first main event we took part in was the annual Handicraft Trade Fair held in Kathmandu every November. We decided as a group to do live art demonstrations and portrait drawings. We had lots of people interested and the queue for a Portrait was extensive. The Fair went on for 2 days and showcased lots of artisans from SE Asia. All of the the work on display was beautiful and many small business were specifically supporting women in rural areas to earn money. It was an exhausting event, but we had lots of great comments and people interested in Kala Nest, so we all felt it was well worth the effort! 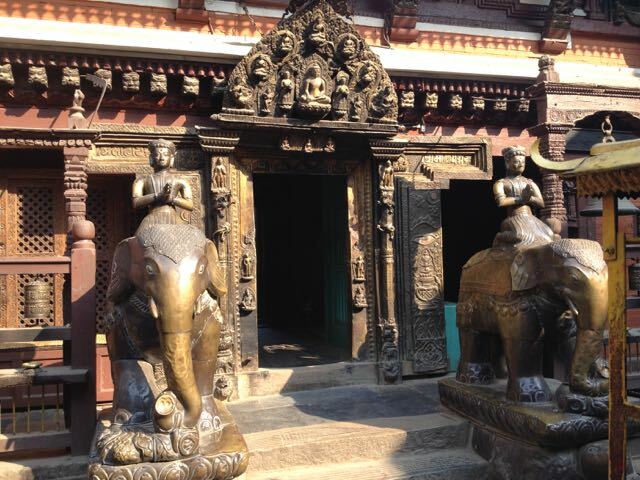 I so enjoyed my time in Nepal it was a complete wrench to leave, I definitely left a piece of my heart there.